The Porsche Macan is a compact crossover SUV and the best-selling vehicle from the automaker. Like the Cayenne before it, the Porsche Macan was an instant hit with shoppers when it made its debut in 2015. With the Macan, Porsche has a rival for vehicles such as the Audi Q5, Jaguar F-Pace, BMW X3 and X4, and Mercedes-Benz GLC-Class. All of those options offer high-performance variants to challenge the Macan. The Macan is updated for the 2019 model year, though it still rides on the same platform while the related Audi Q5 gets a new architecture. 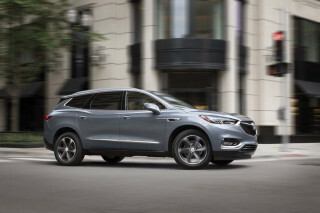 Changes include updated styling, revised engines, a tweaked suspension, a simplified model lineup, and better connectivity with a larger touchscreen. The Macan's shape doesn't stray too far from the Porsche usual. Its silhouette is more than just reminiscent of the Cayenne's, with a gently curved roofline, but a quicker slope at the tail that reads almost hatchback-like. Massive air intakes and four-element headlights up front recall the Panamera as well as the Cayenne. Simple styling continues across the rear end, with LED taillights framing a wraparound tailgate. For 2019, the taillights become part of a full-width light bar that has spread across the Porsche lineup. The profile features side blades that can be body color, black, or, this year, silver. Inside, Porsche has smothered the cabin in buttons, but it reads cleanly, with a massive center console intersecting the dash at a touchscreen that grows from 7.0 to 10.9 inches this year. 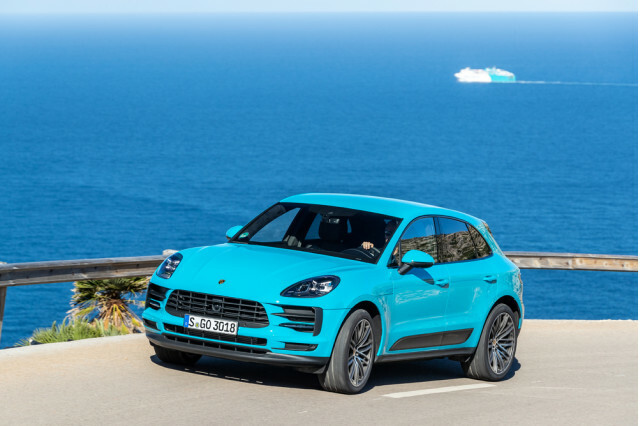 The Macan launched with two models: the S, powered by a 340-horsepower turbocharged 3.0-liter V-6, and the Turbo, with a 400-hp turbocharged 3.6-liter V-6. A turbocharged 4-cylinder base Macan was added in 2016. Its 2.0-liter engine put out 252 hp. For 2019, the engine lineup reverts to two and they are both updated for better emissions with a revised direct-injection system. 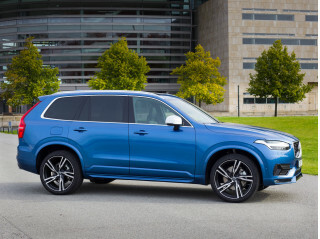 The 2.0-liter turbo-4 now makes 248 hp, while the 3.0-liter V-6 in the S model switches from twin turbos to a single twin-scroll turbo and increases to 348 hp. Porsche says the S model is capable of a 5.1-second 0-to-60-mph run and a top speed of 157 mph, a tenth of a second quicker and 1 mph faster than the engine it replaces. All Macan engines are mated to a quick-shifting 7-speed dual-clutch transmission. All-wheel drive is standard. It sends more power to the rear wheels during normal or performance driving, but has the ability to shift 100 percent of the torque (theoretically, before driveline loss) to the front wheels. An optional torque-vectoring system splits that torque again between the rear wheels via an electronically controlled locking differential. A Sport mode remaps throttle and all-wheel-drive response, while an off-road mode can operate at speeds of under 50 mph for more precise traction needs. Hill descent control is also available from 2 to 18 mph. For 2019, Porsche widens the front wheels, makes some front suspension components from aluminum to save unsprung weight, and revises the spring, damper, and anti-roll bar rates. These changes are meant to improve the ride as well as the steering response. The Macan has 7.8 inches of ground clearance, which, with the optional adjustable air suspension, can be set to just over 9 inches or down to as little as 7 inches. That's the most advanced air-spring setup, which comes with adjustable dampers; base versions have a five-link independent suspension front and rear with steel springs and standard dampers, though the adjustable dampers are optional. 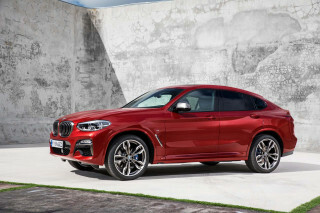 Other performance options include a sport exhaust system, carbon-ceramic brakes, 20- and 21-inch wheels with summer tires, and the Sport Chrono Package that adds a stopwatch on the dash, launch control, and a mode switch on the steering wheel with a Sport+ mode and a Sport Response button. Inside, the Macan acts like the family wagon. It can carry five passengers, but if they are adults, four will be more comfortable. Power front seats are standard, with optional heating and cooling. The rear seat's a three-person bench, split-folding into three sections to open the cargo space from 17.7 cubic feet to 53 cubic feet in all. There's no crash-test data for the Macan and there might never be, but standard features include all-wheel drive, lane-departure warnings, and a rearview camera. 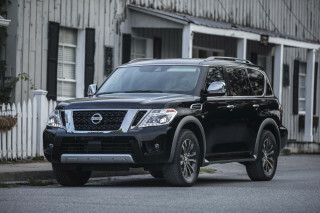 On the options list are blind-spot monitors, adaptive cruise control, and, new this year, active lane control and a surround-view camera system. Oddly, forward collision warnings with automatic emergency braking is not on the list. That's a mistake. The Macan doesn't forget the luxury side of things, with a standard power tailgate and the new 10.9-inch center touchscreen. For 2019, it adds navigation with real-time traffic information and a Wi-Fi hotspot. The standard 10-speaker sound system can be replaced by a 545-watt, 14-speaker setup from Bose, and if that's not enough there's a 1,000-watt, 16-speaker Burmester system at the top of the range. The Macan also mates up with Porsche Car Connect, a mobile app that enables remote unlocking, vehicle location tracking, and other data. All Macans have engine stop/start as well as electric power steering, both of which help to make it more efficient. In 2016, Porsche added a base Macan powered by a turbo-4. In 2017, Porsche added a value-loaded GTS package that slotted between the Macan S and the Macan Turbo. The GTS drew its power from an engine that split the power difference between the existing V-6 models, settling in at 360 hp, with a round of suspension refinements. The GTS doesn't return for 2019, but it will likely be back in a year or two. My Macan offers sports car performance in a much more comfortable package. No double sun visors (as in the Cayenne) is the only thing I can think of as a missing equipment. Very effective machinery and comfortable driver.